Photo: Our director gathers with some of her students at the entrance to our new facility. 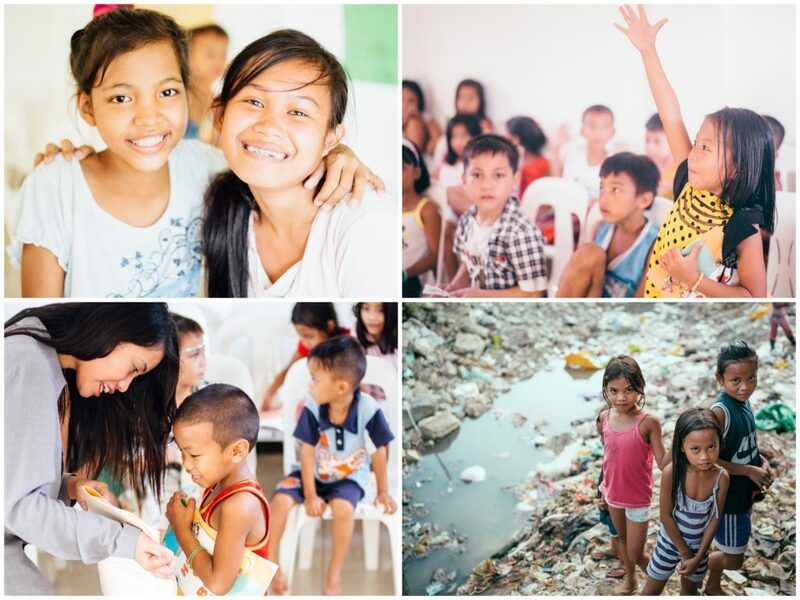 We are happy to report that we currently have 125 children (ages 4-17) enrolled in our Children’s Hope Center program in the Payatas Landfill Colony of Manila. In addition to the children receiving tutoring help with their homework in the subjects of math, English, science, and their native Filipino language, we are also focusing on the problem of illiteracy amongst impoverished children since our older children enrolled in the program cannot read well, and the younger children cannot identify numbers or letters. This is an important part of our daily after-school care program which has proven so successful in our other Children’s Hope Centers. The children can also work on the computers, and get snacks and a fresh-cooked meal such as soup, vegetables & rice, or nutritious Malunggay porridge made from the leaves of drumstick trees before going home for the day thanks to our faithful director Malaya — a single mother who has a huge heart for these children — and our 4 volunteers. We’d like to share the story of 16-year-old Dalisay who has benefitted greatly from our Payatas Children’s Hope Center. She has currently only achieved a 3rd grade elementary education due to the hardships she and her family have been through. She is the 3rd of 7 children in her family, and her parents are basureros, or scavengers, a common plight of people living in the Payatas slum colony, and have only been able to earn $3-4 dollars per day to survive. Due to their poverty, they could not afford to send Dalisay to school. In addition, Dalisay had to take care of her younger siblings, and she also suffers from a form of epilepsy which would make it hard for her to keep up with a regular school curriculum. Photo inset: (Top-left): Dalisay, pictured right, now has hope for her future because of the educational help, and health and nutrition benefits, provided to her by our Manila Hope Center. (Top-right): Children enrolled at the Center receive tutoring help with their homework in the subjects of math, English, science, and their native Filipino language. 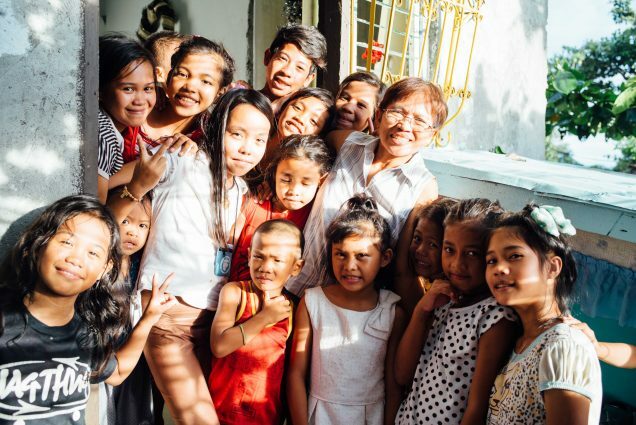 (Bottom-left): Our Manila Hope Center staff is focusing on addressing the problem of illiteracy amongst the impoverished children in the slum colony where it is located. (Bottom-right): The Payatas Colony is situated at the base of a giant mountain of trash, where children play in toxic situations. In other good news, the electricity at our Manila Hope Center was recently connected, and with your support, we were also able to purchase ceiling fans so that our children will have everything they need to stay comfortable during the hot Manila summers. We were also able to provide the children with school supplies such as new books and pencils, along with bookshelves, tables, and chairs — the children are grateful for these necessities for school that their families cannot afford. To round out the good news, our native team will be throwing a Christmas party for the children on Saturday, December 22nd. They are planning to gift the children with T-shirts with a Children’s Hope Center logo to give recognition to our program, personal hygiene items such as toothbrushes, toothpaste, antibacterial soap, shampoo, cotton balls, and bathing sponges, and new shoes, additional school supplies, and toys. Thank you for your prayers and faithful support which enable Malaya and the rest of our native team to continue their hard work — blessing the lives of our children, breaking the cycle of poverty, and rescuing them from child labor by helping us finally reach our vision of a fully operational and properly equipped after-school care program.